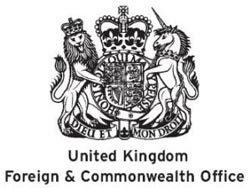 The UK Foreign and Commonwealth Office has advised Britons to stay away from Mali, and urged any expats already there to leave as soon as possible, unless they are there for extremely urgent business. The warning comes following an attempted coup in the area, with the capital Bamako said to be especially dangerous. In a statement, the Foreign Office said: "We advise against all travel to Mali and you should leave if you have no pressing need to remain. We continue to advise British nationals in Bamako to exercise caution and stay away from crowds and demonstrations when travelling around the city. There have been reports of some shops beginning to run low on supplies and of long queues forming outside some banks. Given ongoing instability in the country, and now that the airport has reopened, you should leave if you have no pressing need to remain." Mali currently stands as Africa's third largest gold-producer, but has seen conflict fuelled by weapons that have entered the country following the turmoil in Libya last year.